Since photography figures in the action of Put on the Armour of Light, and since the book is set in Winnipeg in 1899, I was fascinated to read that a set of 31 glass negatives dating from that period had surfaced in the Free Press photo archive room. 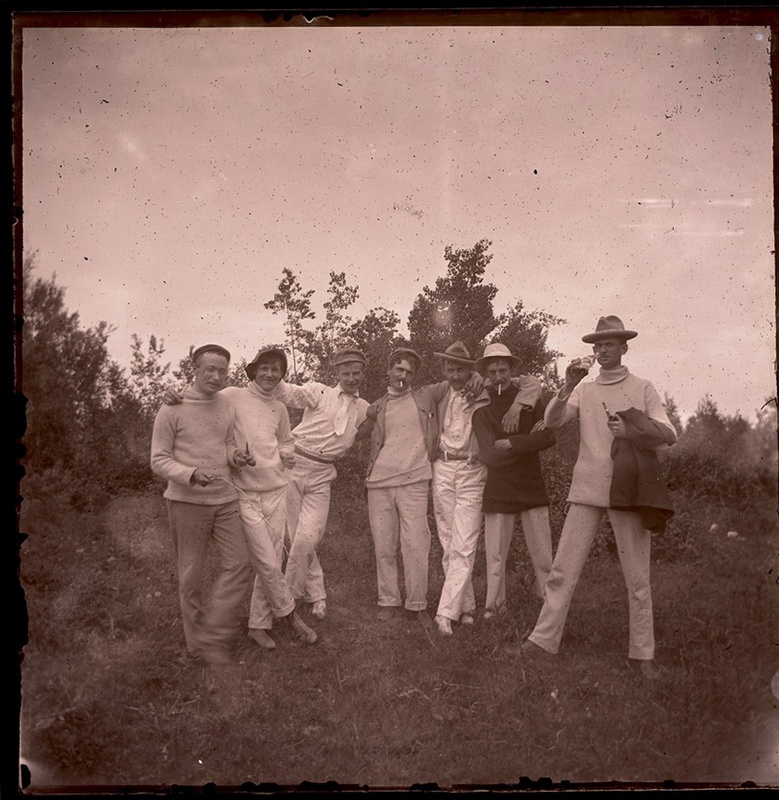 The Vive box camera, which produced these photographs, was manufactured in Chicago, likely in 1897, and represents one of the earliest attempts to put photography into the hands of ordinary people, even those with little money. It pre-dated its more famous cousin, the Eastman Kodak Brownie, which was not on the market until 1900. What is special about these particular images is how informal they are compared to most of the photographs that date from this period. Many of the images that have made their way into archival collections are formal portraits from commercial photographers. The sitters look stiff and serious in these studio pictures because they had to remain absolutely still while the camera aperture was open, often as long as 30 seconds. Outdoor photography was easier because of abundant light. But many people still felt that having their picture taken was a serious business. These guys are clearly having fun and are captured in the moment. People were starting to figure out what could be done with a camera. My thanks to the Winnipeg Free Press for permission to reproduce this photograph.